We are located in downtown Peterborough at 291 Charlotte Street, in the Clark Medical Building. 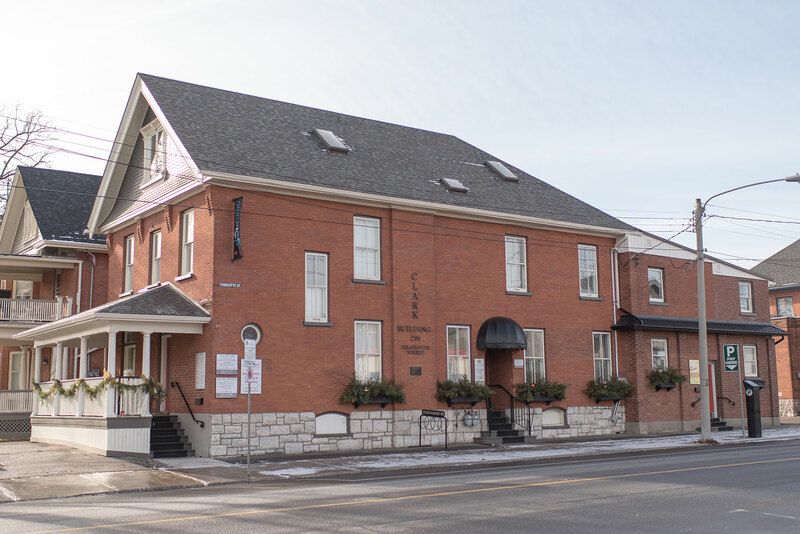 The building has a long history; it was originally built as a home and office for family physicians. 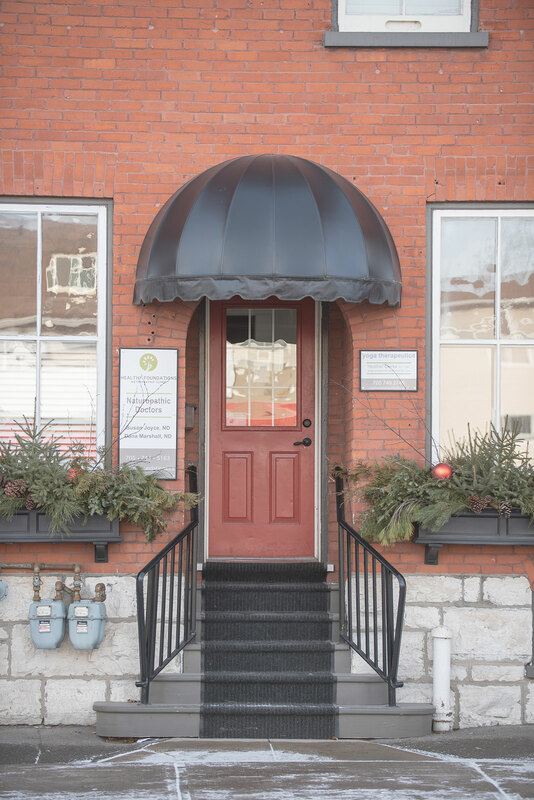 The building now houses many allied health professionals including massage therapists, naturopaths, physiotherapists, a social worker and a psychologist. We recently expanded our clinic and now have two entrances in the same building, in Unit A and the West Unit. Becca and Kathy work in Unit A, the original entrance with five steps to the front door under the black awning. Rose works in our newer space in the West Unit located right next door just to the west (or left if you are facing the building). Both entrances have steps. If you have a condition that prevents you from climbing stairs, please consider having us come to you for a physiotherapy home visit. Please contact us to make arrangements. If you are unfamiliar with the area please allow yourself a few extra minutes to find parking and walk to the clinic.